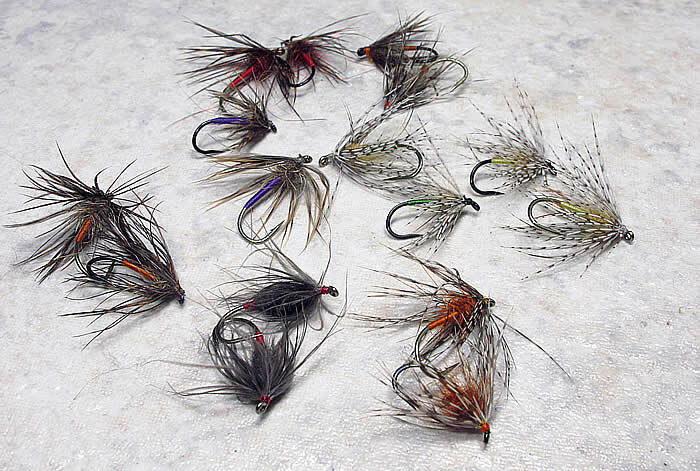 And there will be some wet flies in my box. 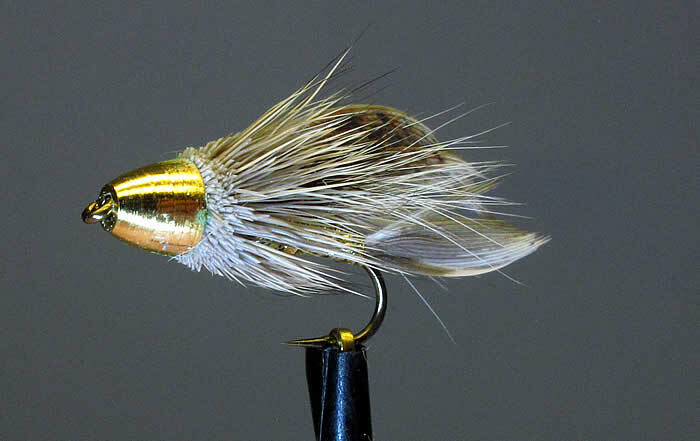 These being tied on dry fly hook size 12 and 14.
and I will have a few Size 10 Conehead Muddlers. I am not fond of tying these, so I pick them up at a store, though they are not commonaly available in most stores. I hear you – My fly box has light and heavy soft hackles (of dry and Mustad 3399 hooks respectively), but I keep the conehead (size 10) for this small and deep pockets. I lose my fair share of coneheads, as I am trying to swing them deep in “confused” pocket water, but I have landed some nice trout this way. My favourite in the group is the Iron Blue Dun – Red Pearsall’s Sild, Dark Dun Beaver Dubbing and a Jackdaw Shoulder Feather (it is on the bottom right), but in spring, I am more likely to search with an Orange and Partidge. They are pretty, that’s for sure.